It’s hard to remember now, years later, what I was doing. A series of loud bumps on the front door signaled the arrival of a visitor. On my way to the door, I noticed through a side window that it was my neighbor’s son. Dad was waiting several steps back at the sidewalk by the street. The Ernest Hemingway approach to sales. I bought whatever it was he was selling. In a little over fifty-five years of reading, I’ve been motivated to look up many words in dictionaries while reading. One thing’s for sure, though, I never put down a “page-turner” and interrupted a captivating story to study vocabulary. On the other hand, learning new words and making an effort to use them has always been of interest. A well-read person should have a deep vocabulary — shouldn’t they? Whatever they’re worth, David Bramwell has got 112 for you for just over ten dollars in his book, The Book of Hard Words – Read it, See it, Know it, Use it. Bramwell makes it easy to learn about the words in his book. An entire page is dedicated to each word complete with illustrations, pronunciation guide, sample usages, etymology and genealogy. The layout includes three sections titled, “Hard,” “Harder,” and of course, “Hardest.” The author acknowledges that this is not intended to be a complete compendium because, for example, one reader may consider a given word as being hard and another would not, from previous experience. In my own case, it was a pleasant surprise to scan down the list of words and find many with which I was familiar. Some of them, I use every day. Back in my direct sales days, when I lived in Louisiana, it was advisable to write marketing pieces and especially letters on an eighth grade reading level. That was thirty years ago. It would not surprise me at all to discover that writing for any demographic today would benefit with that same advice. An author friend of mine received the following comment in a review of one of his books: “Only 7 percent of the population is going to understand several of the words the author uses.” In my own case, I would be thrilled if seven percent of the population owned a copy of one of my books, but is that what an author wants to do in attempts to sell more books? I don’t think Hemingway had that problem, but I’m certain that Faulkner did. 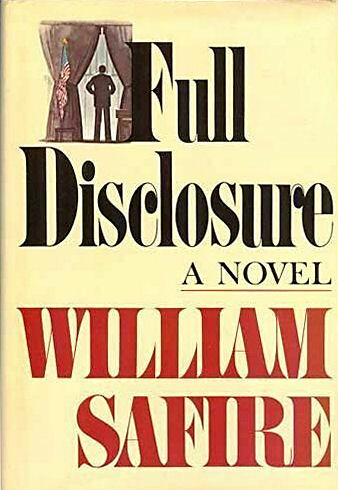 Authors who have a word that might be considered difficult by some can take inspiration from the late William Safire, New York Times wordsmith-in-residence. In several of his books, he would use the device of having a character use a “hard” word in conversation. During that conversation, he or she would discuss that word and how it had been used. Another viable option for today’s writers — write a blog about it.